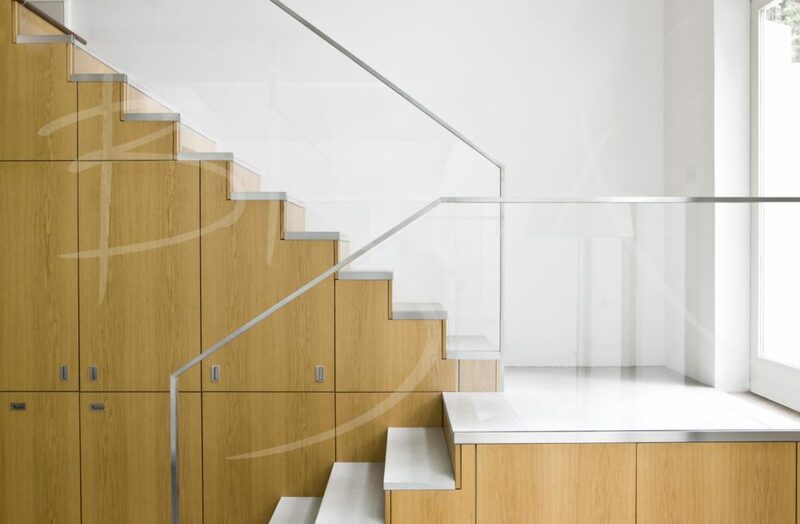 A contemporary staircase design for a London Mews property. Bisca’s brief was to renovate the old staircase and make the most of the space and under stair storage. In keeping with the contemporary feel of the property, our design uses elements of stone, glass and steel. Low iron glass gives best visibility and enhances the open feel of the dining kitchen. We clad the treads with stone and added a low iron glass balustrade with steel profiled handrail. 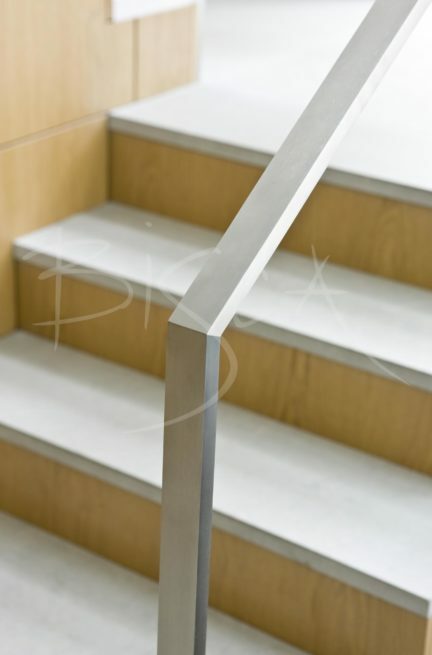 Although completed some years ago, the stair remains popular and bears testimony to the timeless nature of Bisca designs. For further information, or to get a price for a similar contemporary staircase design, please quote reference 2314.